This is the second novel by TV favourite Fern Britton I have read. Her debut “New Beginnings” I considered to be well paced, very readable and likeable throughout. I’ve skipped to her fourth novel where I can see development as a writer and a confident settling into a niche of producing writing with a high likeability factor. This time, the plot is more complex, it moves away from her “television” comfort zone and she is working well with a larger cast of characters. This is the tale of The Pavilions theatre in the fictional seaside town of Trevay, which after years of dwindling audiencs faces being sold off to a coffee chain. Readers of Fern’s 2012 “Hidden Treasures” would be familiar with the setting and a number of the characters as the vicar’s wife Penny from neighbouring Pendruggan and their friends Piran and Helen were the focal point of that novel. For me, they are the least successful aspect of “A Seaside Affair”. They chug along in a minor plot strand as part of the committee to save the theatre. I did not have a history with them as characters and it seemed to me that they became very much side-lined by mid way through – I had almost forgotten about them. This novel is dominated by the performers who come on board to save the theatre. Brooke is chosen to front the coffee company campaign and falls in love with the memories contained within the building and has to change sides. Ollie is a local actor made good having an on/off relationship with Red, an X Factor winner who has managed to become a huge pop star and there is also Jess, an actress in the shadow of her Hollywood bound husband. It is these three characters who make “A Seaside Affair”. Under the direction of Jonathan, an old flame of Penny’s, and with the draw of the theatre’s original impresario known as Colonel Stick (a lovely character who I think Fern has under-drawn somewhat) a show is produced to reverse the theatre’s fortunes. It’s a tale of local politics, friendship and of pooling together as a community and it all works rather well. I do feel, however, that it is overlong and that Fern does not need to explore every potential plot permutation. Tightening things up by losing 100 pages or so would have resulted in something really rather good. As it is, I can see definite progress from Fern as a writer from “New Beginnings” (and I had also enjoyed that- probably more than some of the Amazon reviewers I stumbled across). I would certainly read more by her. From TV presenter with odd rabbit puppet Gus Honeybun on TSW (essential viewing for a time when I was at college in Devon back in the early 80’s) to host of “The Big Allotment Challenge” in 2015 on BBC2, Fern Britton has had some television career! Not on our screens as much as when she was a daily fixture on “This Morning” she has found time to branch out into writing and this was the first fruits of her labour (I’m going to stop this now in case the allotment puns keep coming!) She has kept herself on familiar territory as the main character has to juggle a television career with the demands of her family. When her husband dies suddenly TV journalist Christie Lynch finds herself having to give up her spot on the television consumer programme and after a period of time, with money running out she needs to return to television, firstly on a daytime female talk show, the Loose Women-ish “Tart Talk” (fab title Fern) where she meets a formidable agent Julia Keen who signs her up. Julia is a great character, a high profile no-nonsense woman who has been tainted by scandal and Christie soon realises that having her as her agent does have disadvantages. Christie also has to deal with child-care, a teenage daughter not over the death of her father, a younger son who has found his father substitute in an ideal romantic proposition for Christie. She herself becomes increasingly paranoid by the trappings of fame and the realisation that her agent might not be totally on her side. This is a well-paced, very readable book which remains likeable throughout. Fern has blended fiction with her experiences of life in front of a TV camera and dealing with fame, the press, a career and family. She has done a good job. It all feels plausible, there’s just the right amount of gloss and it never becomes over-sensational. With a book a year since this debut Fern has joined the roster of good quality writers of this type of fiction. 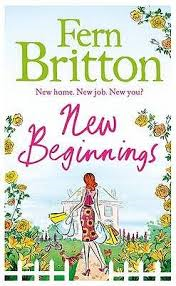 “New Beginnings” was published in the UK in 2011 by Harper Collins . I know it’s pushing it a bit describing Elizabeth Kelly’s novel as “Chick-Lit”, but it is more of female interest, so as I’m short of a review to go in this section this week I’m going to let it go. Set in Summer 1972 in Cape Cod and told in flashback, this is the summer when twelve year old Riddle Camperdown’s life changed forever. She is an only child with an ex-movie star mother and a father running for election. What is expected to be a summer of horse-riding and election campaign events is disrupted by the return of an old flame of her mother’s and the disappearance of his teenage son. 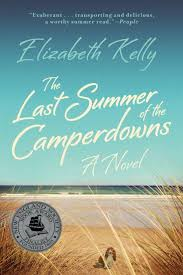 Elizabeth Kelly’s second novel is a well-told, involving tale, full of secrets and with considerable potential for reading group discussions. I did enjoy this but the self-absorbed adult characters with their brittle put-downs and passion for one-upmanship became a little wearying. It distanced me from the unfolding events of the novel and from its impending sense of menace which is at times, very effectively conveyed. There has been much praise for this in the American press but I feel that over here we respond to a little more warmth in characterisation. Having said that, the tale Kelly tells will linger in my memory and this book is worth seeking out. A slightly edited version of this review was written originally for the Newbooks website. If I was given the opportunity to go around a bookshop and select the book whose cover most said “this book is probably not for you” I might have come up with something like this. Beige and old-fashioned looking, with hints of the desert, a 1920/30s photo of a woman and a more off-putting decidedly 80’s looking photo of two young women certainly didn’t excite, but, luckily I had seen this book listed in a selection of must-read books and on this occasion I am very glad I did not judge the book by the cover because I would have missed out as I was thoroughly entertained by this. There is no doubt that it is aimed at a female readership but it did draw me in. Two cousins are asked to scatter their recently-deceased great aunt’s ashes. The will stipulates Mali but the cousins do not know why. The girls, one a romantic adventurer, the other a cynical teacher recently dumped by her boyfriend head off for the desert. To reach their destination they will need to cross the desert on camel accompanied by representatives of the Tuareg people. It all becomes rather charming. Challis uses three narrative threads, the girls with their differing viewpoints and a friend of the aunt’s who knows but does not reveal the reasons for the last wishes. Challis has done extremely well in exploring the differences between the Brits and the Tuaregs. It all seems authentic and respectful and actually left me with quite a bit of a rosy glow. 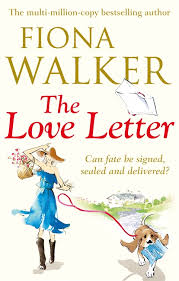 The Love Letter – Fiona Walker (2012)- A Chick-lit from a male point of view’s review. I thought I’d try something from one of the leading lights of the chick-lit genre. This is Fiona Walker’s 11th and it is a real doorstop of a book. First off, admiration, this is a comic novel and for a writer to sustain humour throughout a novel of this length is a great achievement. Walker has managed this by producing a tautly plotted tale. Slapstick and farcical situations a-plenty but there is also an intelligent almost in-joke humour of word-play and literary and cultural references which really does mean that with this broad scope of comedy there really is something for everyone in this novel. I am sure Walker (who I have not read before) has honed these skills in her previous ten books and so is able to produce a bit of a comic-writing masterclass in this one. There’s literary secrets, a festival in a country house and secret identities within a well-drawn Devon coastal setting. Although it often put a smile on my face I did not laugh out loud but the author’s stamina is to be applauded for keeping it all going over 660 pages. There were some memorable characterisations but I often have a problem with the lead female character in this type of novel and this was no exception. There’s a danger of the reader becoming frustrated with Allegra’s ineptitudes and incompetencies. For me this devalues the book a little. I know I’m not the target audience for this type of book but do women readers enjoy being driven mad by the actions of the main character? – I doubt it. Anyway in the three years that have passed since the publication of this novel Fiona Walker has put out another two novels. On the strength of this one I am sure I will give her output another go. Any suggestions? Tony Warren, in his early twenties began work on an idea which would revolutionise British television. 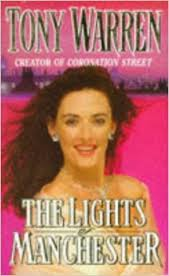 His idea of a twice-weekly continuing drama featuring characters loosely based on those he knew from growing up on the streets of Manchester became Coronation Street. The first episode, scripted by Warren and performed live on ITV in 1960 is still consistently the best programme on television fifty-five years later. His initial set of characters including Elsie Tanner, Ena Sharples, Annie Walker and Ken Barlow instantly engaged with the viewing public and have had a central role in British popular culture. He worked on scripts, with decreasing frequency until the late 70’s but very much remains a figurehead for the programme, its originator. In the 1990’s Warren produced four novels which remain somewhat under-rated. Maybe at the time it was unclear how to market them. They are not quite the “bonkbuster” type novel, favoured by the likes of Jilly Cooper and the Collins sisters, Jackie and Joan (probably fading a little in popularity by the mid 90’s), not quite the warm saga and not quite chick-lit, although there are elements of all three genres. I have recently re-read all four and think they deserve a wider twenty-first century audience. Here is my guide to the novels of Tony Warren….. The title always brings a smile to my face. On publication it probably sat on the same bookshelves as books featuring glamorous locations such as Monte Carlo, Cannes and Monaco. Right from the title Tony is showing us he’s just on the right side of kitsch. There’s a delightful sense of chutzpah before even opening the book. My paperback copy, however, does possess one of the most pointless and inappropriate front covers I’ve seen. I can’t fathom out the marketing department which would okay this cover- maybe that’s the difference between the early 90’s and today. However, once the reader has got over the slight snigger at the title and ignored the cover, which would have done Warren no favours and embarked upon the book she (and with that cover it is most likely to have been “she”) would have discovered a very good example of the showbiz saga, spanning forty years in the lives of Sorrel Starkey (not Pat Phoenix) and Micky Grimshaw (not Tony Warren). The author himself feels the need to point this out in the introduction and it would be an easy assumption to make being the tale of the writer of a continuing television drama “Angel Dwellings” and its early sensational star. 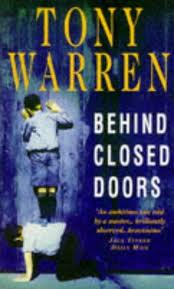 I do admit it has dated a little since it came out and this type of doorstep sized saga is not as popular as it once was but it is highly enjoyable throughout and Warren really does put his main character through the wringer. Yes, it is melodramatic at times and imbued with a British kitschness which Warren pulls off , intentionally or not with aplomb. There’s a raft of memorable characters, some of whom may have had real life parallels and the backstreet world of Irlam O’Th’ Height comes to feel as familiar to the reader as Armistead Maupin’s San Francisco. Novel number three is his best. This is a rich, gossipy tale of three Manchester school children grouped together at the end of the war when they are labelled “misfits” on their first day at secondary school by the uniform outfitter. There’s Vanda Bell, the tubby girl with the tarot-reading grandmother. Vanda yearns for the stage and becomes a stripper. There’s pint-sized Joan Stone possesser of an over-vivid imagination and literary pretensions and tall, skinny Peter Bird, the child everyone knows is gay before he works it out himself. Solid characterisation in both main and supporting characters, good twists and a real sense of period spanning from the late 40’s to early 60’s make this a compelling and highly enjoyable read. To date this is Tony Warren’s last novel and I’d rank it his third best. A transatlantic crossing on the QE2 is the setting and we catch up once again with Manchester’s Mickey Grimshaw and his best friend and star of “Angel Dwellings”, Sorrel Starkey. Mickey (not at all modelling Tony Warren) is now a novelist and Sorrel’s much loved husband had died. There’s concerns about her health and a shipboard romance but a new character is given a good share of the limelight here. She is also on the QE2 and also heralds from Irlam O’Th’ Height. Much is devoted to Dinah’s back story to explain why she is onboard and stalking another character familiar to Warrens’ readers. 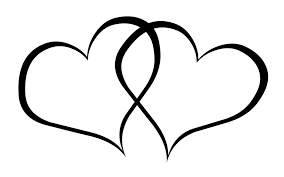 Rises to fortune, thwarted love ambitions and life-long loyalty to individuals are all areas Warren excels in writing about together with his warm characterisations. We get a few cameo walk-on parts from characters from the other books. It does feel a little bit “more of the same”, which is why I do not rank this amongst his best but he writes with a cosy familiarity which I do find very appealing. In my review of Dan Brown’s “Inferno” I mentioned how I tended to use his “Da Vinci Code” as a measure for other books in the adventure genre. My chick-lit yardstick tends to be this, a classy and highly readable debut novel by the American born writer. 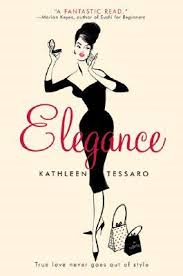 It stands out from the pile because of Tessaro’s use of a clever device- a real life tome from the 1960’s on “Elegance” offering advice to women on how such a virtue could be achieved. Tessaro got permission to use this book centrally in her novel (and befriended the author). This provides a structure for her novel and it works extremely well. Main character Louise, living in 21st Century London decides to apply the “elegance” philosophy to her life. Things begin to change dramatically for her, from the loveless rut of her marriage, to her appearance, career etc. I didn’t find it laugh-out-loud funny but it did make me smile quite a lot. It reads extremely well and the A-Z format keeps the attention throughout. I warmed to the refreshingly literary feel. Tessaro now has five novels available for our delectation and she is certainly an author on my to-be-read again list.